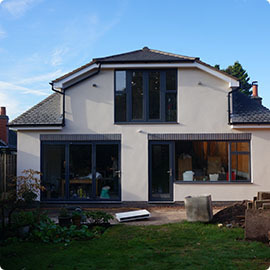 We work on all sizes of projects in the residential sector from internal house alterations, loft conversions and extensions through to new house builds, multiple housing projects and conversions of existing buildings into liveable spaces. We liaise with our clients, their architects and statutory authorities to formulate a concise design brief and then work with all parties to achieve a suitable and cost effective solution. We are also on hand throughout both design and construction stages to accommodate any changes which occur for all manner of reasons.